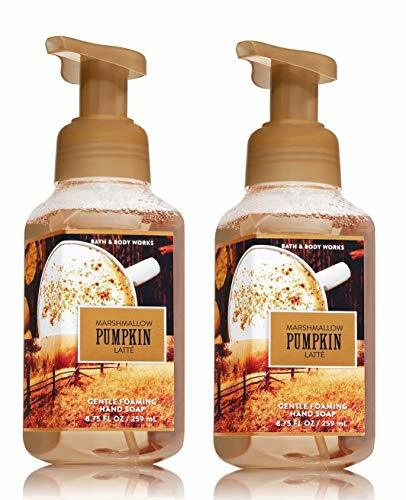 Buyers receive TWO (2) Foaming Hand Soaps -- 8.75 fl oz each. Purrfect Pumpkin is a late-night blend of carved pumpkin, spooky cinnamon and moonlight vanilla. Perfect for halloween parties, fall decor, and kids' bathrooms. Seasonally discontinued scent - available only while limited supplies last. 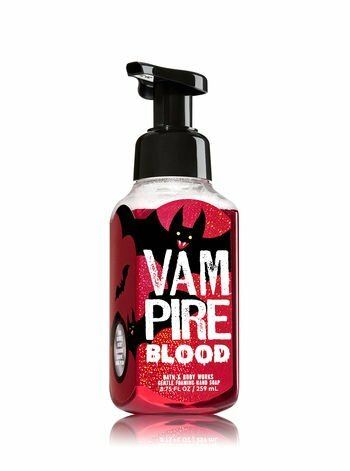 Bath and Body Works Vampire Blood is a frightful and fun blend of Blood Red Strawberries, Midnight Blooming Jasmine, and Dark Transylvanian Plum. 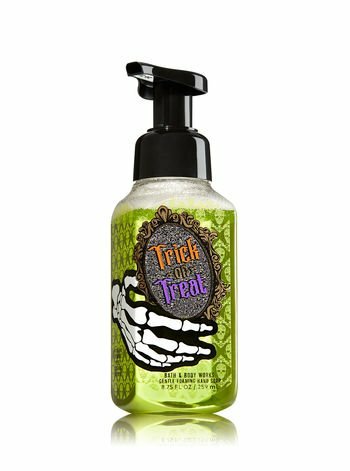 Scare away germs with this trio of 3 Halloween Themed Foaming Hand Soaps. 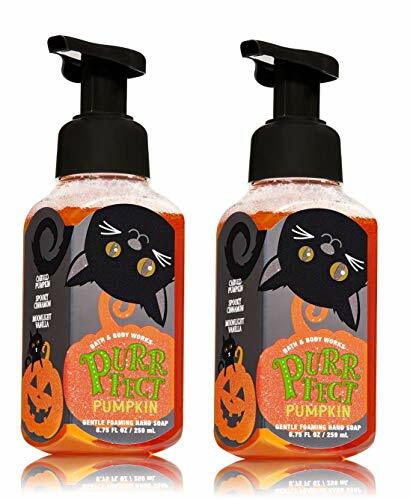 Buyers receive THREE (3) Foaming Hand Soaps -- 8.75 fl oz each -- one Ghoul Friend, one Purrfect Pumpkin, and one Trick or Treat. Ghoul Friend is a haunting blend of dark strawberry, possessed peonies & spine chilling citrus. 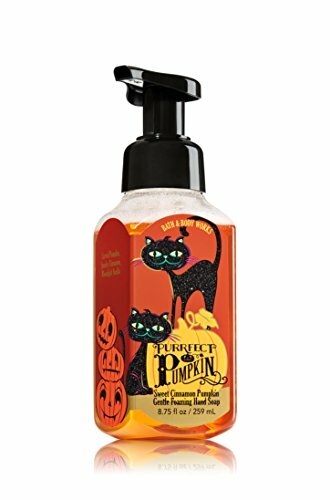 Purrfect Pumpkin is a bewitching concoction of sweet pumpkin, cinnamon spice & hypnotic vanilla. Trick or Treat is a scary, fruity blend of wicked lime, frightful apple and screaming nectarine. 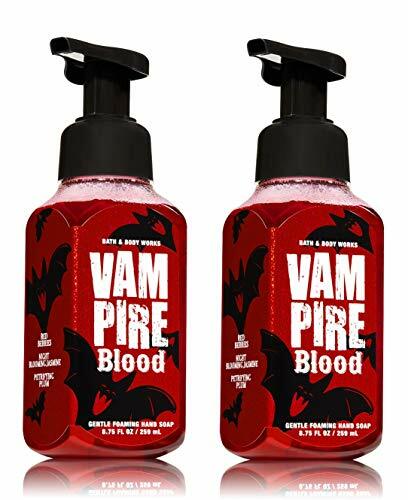 The new, premium formula in these Gentle Foaming Hand Soaps delivers a cloud of luxurious foam that transforms into a rich, creamy lather to gently wash away dirt and germs, while soothing Aloe and nourishing Vitamin E leave hands feeling soft, smooth and lightly scented. Seasonally Discontinued Bath & Body Works scents - available for a limited time only. Our Gentle Foaming Hand Soap delivers a cloud of luxurious foam that transforms into a rich, creamy lather to gently wash away dirt and germs, while soothing Aloe and nourishing Vitamin E leave hands feeling soft and smooth...Seasonally Bath and Body Works Scent - Available for a Limited Time Only. 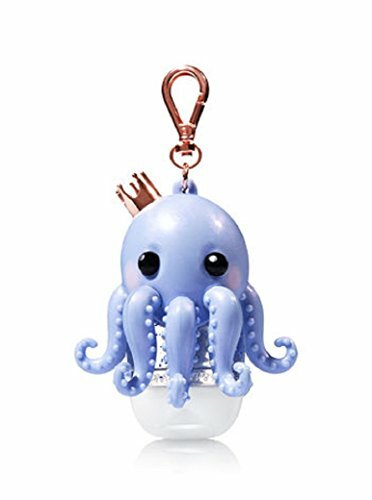 This so-cute-we-can't-stand-it octopus holder keeps your favorite PocketBac in its grip & brightens it up with an LED light! The convenient faux rose gold clip attaches to your backpack, purse and more so you can always keep your favorite sanitizer close at hand. Designed exclusively for our PocketBac Hand Sanitizers, sold separately. Michel Design Works Honey Almond Foaming Shea Butter Hand Soap, 17.8 oz.